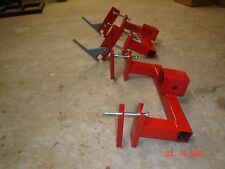 Toro Wheel Horse Removable Receiver Hitch (if you have a #104659 Bracket). Linings for Wheel Horse Garden Tractors. 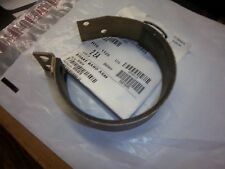 These linings replace the old, worn out linings on your brake bands. One lining fits all #9593, 7376 applications, as well as 300/400/520 series tractors. Two recessed areas are drilled in one end to fit over the rivet heads on the #9593, 7376 band. 2 of 3/44 lever Wheel Horse R.J. Deck Lever- Deck Engagement. Condition is New. 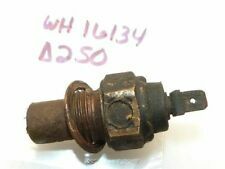 Paint is chipped Wheel Horse C 195 Idler Shaft Rear P.T.O. . Condition is New. Shipped with USPS First Class Package. Here we have a one of a kind class 3 hitch for your tractor. you can take the ball right out of your truck and use it in your tractor. You will not get this item…… sorry. 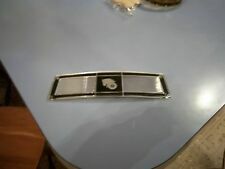 Here we have a one of a kind class 3 hitch for your tractor. you can take the ball right out of your truck and use it in your tractor. Wheel Horse D Series Oil Temp Gage . Condition is New. Shipped with USPS Priority Mail Small Flat Rate Box. The OD at the widest part of the cap is 2 7/8" wide and the steel float slider rods hang 6 7/8" below the threads. Wheel Horse Lawn Ranger dash / hood tower. This is aTune Up kit for your Wheel Horse 516H 518H 520H garden tractors. Kit includes Oil filter, Fuel filter and Air Filter plus 2 spark plugs. Onan: 140-1228, 140-2522, 140-2628, 140-2628-01. Onan NHA NHB, NHC and T26;. 103991 & 111215. For Toro / Wheel Horse Part #s Fits Toro Model #s NEW IGNITION KEY SWITCH W/ KEYS. Ignition Type: Magneto. You are responsible for verifying the OEM part number. Did you check your OEM part number?. NEW 42" BLADE SET FOR TORO WHEEL HORSE 106636 106077 MADE IN USA FAST SHIPPING! OEM: 106636 ~ 106077. FOR 42" TORO - WHEEL HORSE DECKS. LENGTH (DIAGONAL FROM TIP TO TIP): 13-7/8" (349.25mm). VERY POPULAR BLADE, TWH USED THIS SET FOR MANY MANY YEARS FOR THEIR 42". 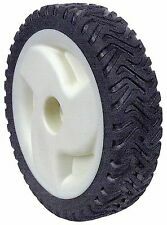 8" Toro Plastic Mower Wheel. Toro; Wheel Horse. Radial Tread Tire. Toro: 104047, 46-6560. 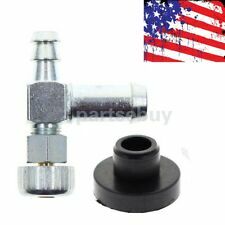 1 x Fuel Tank Bushing Shut-Off Valve as pictured. Excellent Support. Bobcat: 36", 48" and 61" XM Series Walk-Behinds, 930000-936406A Power Units & Hydro Drives. With a high rate. New reproduction Toro Wheel Horse headlight bezels the part numbers are #109080 (set) and #109494 and #109495 for left and right. These were used on the 300, 400 and 500 series tractors. · 13A5470F196 (1997)-->Seat/Battery/Fender/Dash Panel/Fuel Tank. · 131-668-000 (1991)-->Parts. · 131-601-000 (1991)-->Parts. · 131-636-000 (1991)-->Parts. · 130754F (1990)-->Lawn. · 31D-140-352 (2004)-->General Assembly. Wheel Horse 314-8 Garden Tractor-Front Steering Spindles SET (2)-USED. Condition is Used. Shipped with USPS Priority Mail. Wheelhorse PTO Clutch “Old style”. Condition is Used. Shipped with USPS First Class Package. 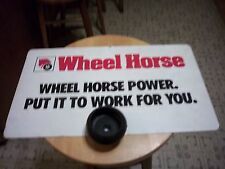 This is a rare Wheel Horse 15" 2-spoke steering wheel that fits '66-'69 models - original part number 4875. This two-spoke wheel was used on mid to late 60's models 953, 1054, 1054A, 1076, 1276, 1057, 1067, 1077, 1257, 1267, 1277 and 1969 GT-14 model 1-7441. 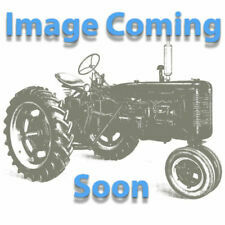 Works On Most older Wheel Horse Garden Tractors. 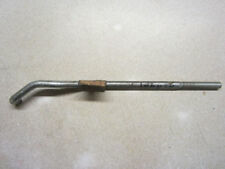 -1/8" Pipe Thread, Uses 1/4" Fuel Line Barbs-. Wheel Horse Hub Caps Early Style Red Black 8-0512 RARE Rj-35 Rj-58 Suburban Pond. Condition is Used. Shipped with USPS First Class Package. Wheel Horse C-195 Obsolete O.E.M. Hour Meter. Condition is New. Shipped with USPS Priority Mail Small Flat Rate Box. The old original # was 102742, the new current part # is 94-2501, and the approximate size is an HA103 belt (approx 1/2" x 103"). Can't find what your looking for?. ( 1 ) 3/4. X 5.5 in. (1 ) 3/4. X. 6.0. In. 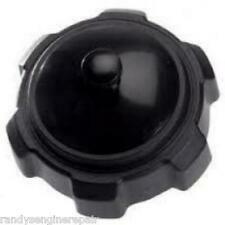 YOU ARE BUYING AN WHEEL HORSE STEERING WHEEL INSERT, CENTER CAP NOS OEM NLA PART NUMBER 102856. I believe a washer is suppose to be included with this but its missing. TORO WHEEL HORSE 8911 24663 106516 114433 V-BELT 1/2"X83"
5 out of 5 stars - TORO WHEEL HORSE 8911 24663 106516 114433 V-BELT 1/2"X83"
1 product rating1 product ratings - TORO WHEEL HORSE 8911 24663 106516 114433 V-BELT 1/2"X83"
Rock shaft kit is for lifting the rear sleeve/brinly hitch and for the tiller. a lot of the manual trans did have tubes and a lot of the hydros did not. is there a tube over the transmission?. (yes or no). Parts List For 42" Rotary Mower-5-1010. 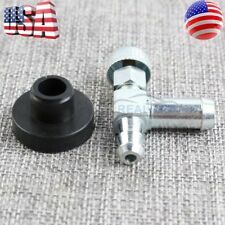 Original manufacturer part, make sure it fits your application. 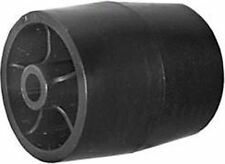 This is a complete deck wheel kit for the Wheel Horse mower decks. This kit will fit most decks but check your part numbers to make sure this is the kit for your deck. This kit includes 2- 110506 HD deck wheels with shoulder mounting bolts 5188. This is for one band only! FOR SALE A NEW WHEEL HORSE B C & D MANUAL.THIS HAS THE ORIGINAL HARD PAPER COVER AS IT WAS COPIED FROM A NEW UNUSED MANUAL. HAS CLEAN CLEAR PICTURES JUST AS GOOD AS A NOS MANUAL. 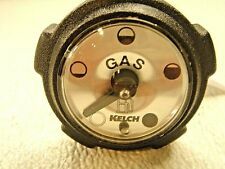 Used on the early 80's C series models and others. Wheel Horse side flange assy. Side Flange Brg Assy. The strip of connections can be cut to connect as many fuses as needed.